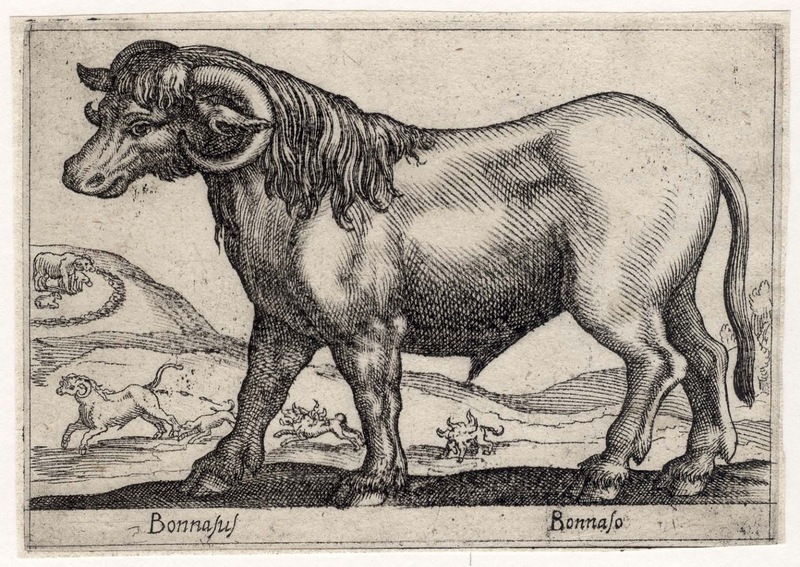 “Buffalo”, c.1630, from the series of 206 plates: "Nova raccolta animali piu curiosi del mondo." 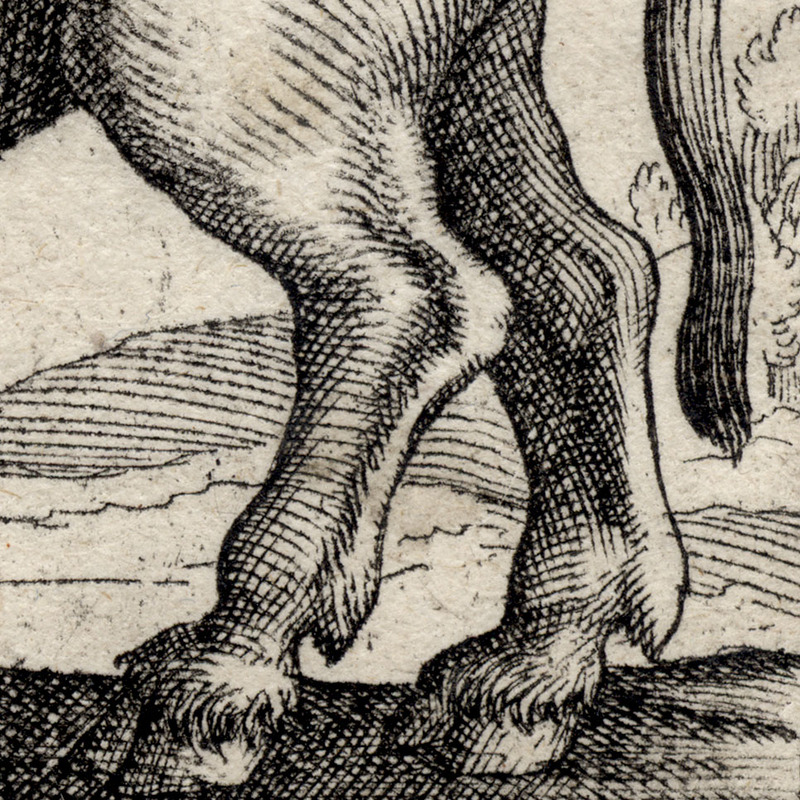 Engraving on fine laid paper with narrow margins. 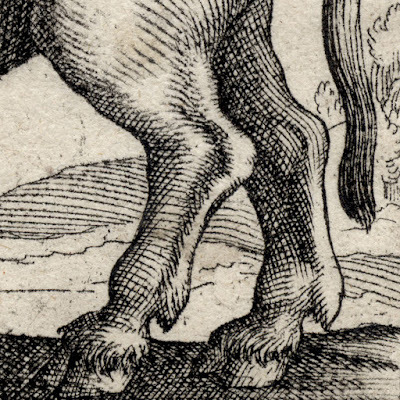 Condition: well-inked and crisp impression with narrow margins in excellent condition. 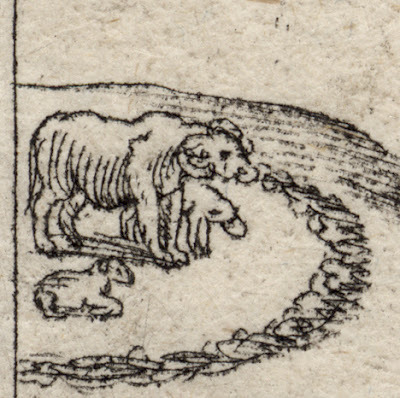 I am selling this very early illustration of a buffalo with a scene of a hunt in the distance for the total cost of AU$208 (currently US$150.28/EUR142.48/GBP121.91 at the time of this listing) including postage and handling to anywhere in the world. If you are interested in purchasing this natural history print of the utmost rarity, please contact me (oz_jim@printsandprinciples.com) and I will send you a PayPal invoice to make the payment easy. 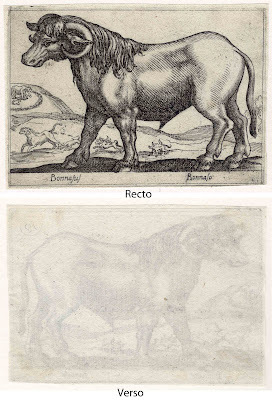 Unlike the wonderful etching of a hippopotamus (cleverly disguised as a beaver) by Tempesta that I posted not long ago, this etching of a buffalo must have been drawn from life—or at least remembered from Tempesta’s personal observation of the beast. 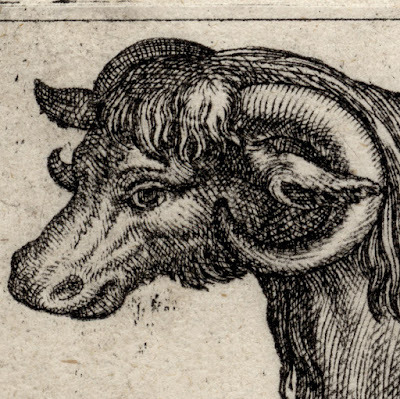 Certainly there were water buffalo in Italy at the time of Tempesta as their blood line is still with us today: Bufala Mediterranea Italiana (a breed used for their milk and in the production of the famous “buffalo mozzarella”). 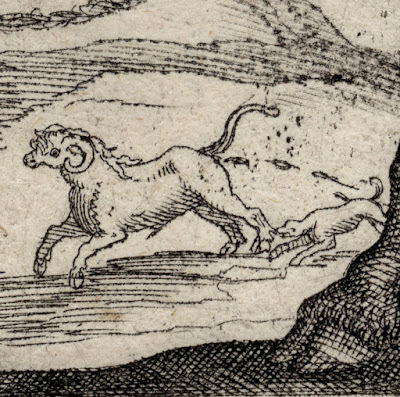 What makes this early illustration of a buffalo extra interesting is the hunt scene depicted in the distance. From my reading of this scene (and I need to point out that I am often wrong) is that a buffalo is being chased by dogs and in the chase the buffalo is defecating. (Yuck) More curious (and this is where my inability to read an image properly becomes apparent), further back from the front-running dog are two other dogs that are mysteriously on fire. As a note of contrast, far in the distance is a more peaceful scene with a rock(?) wall protecting another buffalo and two calves. 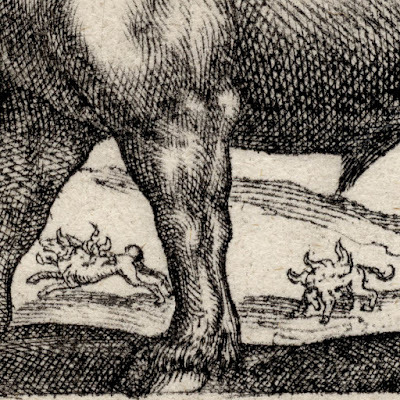 I really love this print as it raises a strong memory from years ago when I read Simon Schama’s book “Landscape & Memory” (1995) and discovered that there were bison roaming around in Lithuania. More disturbing for me was that these bison herds were dwindling in numbers, shamefully as a result of trophy hunting. Although this is shocking, I loved Schama’s description of them in terms of tasting like nothing he has “ever eaten before: a strange sweetness lurking beneath its cheesy pungency” (p. 37).